It is what happens when you try to shape an agreement in a performance of political, legislative and presentational gymnastics. Too many twists and turns in the word play and then the fall. After months of talking, there are two very different interpretations of a key element of this negotiation. 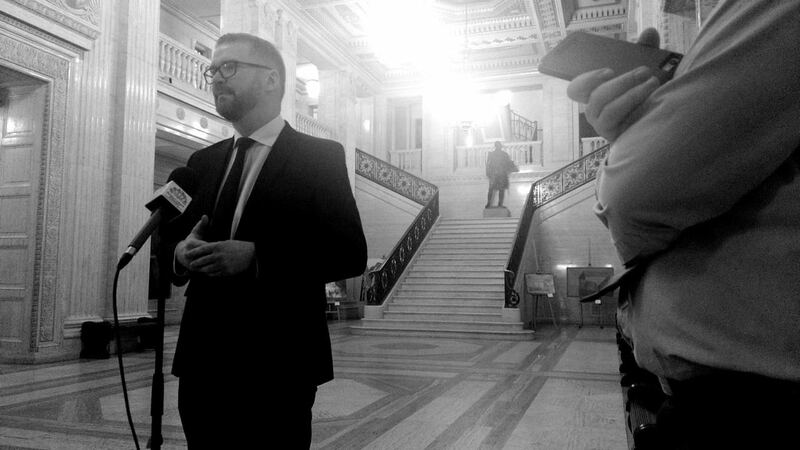 DUP leader Arlene Foster made clear on Tuesday that a stand alone Irish Language Act would be a deal breaker and, on Wednesday, as things unravelled, her party colleague Simon Hamilton said a fair and balanced package was not on offer. Had this discussion lost itself in some complicated and convoluted word puzzle? Not so says Sinn Fein. Party vice president Michelle O’Neill said they had reached an accommodation with the leaders of the DUP, but that the DUP failed to close the deal. Sinn Fein is adamant this included an Irish Language Act as well as an Ulster Scots and Respect and Culture Acts. Legislative make-up was being applied to try to cover political blushes. On Wednesday morning, a senior DUP politician described these talks as “dead” – “totally dead”, he told me. Hours later, he sent me a text – two words: “Told you”. The challenge in these talks was not just to make an agreement but one that was credible and believable. It was a marathon negotiation which found new energy last week, but that hit the wall on Wednesday. The Prime Minister and Taoiseach were sold a pup if they were advised that a deal was so close that their presence at the start of this week would help. Rather it was a distraction. If awake, if watching, you could feel the mood change over the past 48 hours. It was obvious the DUP was struggling with whatever was on the table. 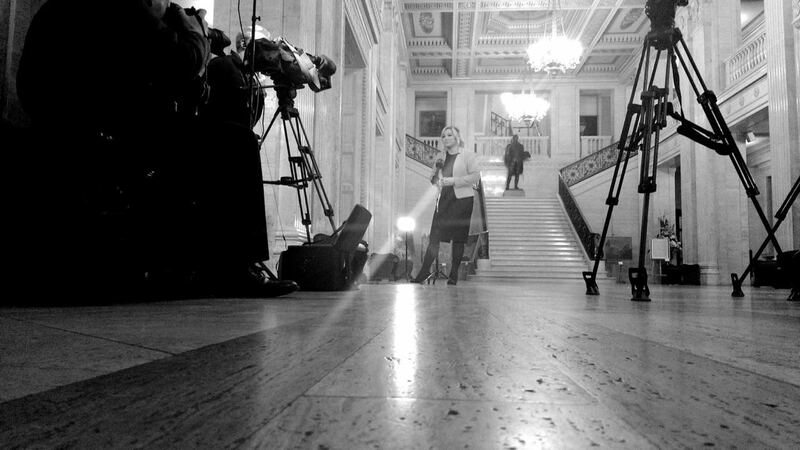 A tweet from Arlene Foster at teatime on Wednesday signalled another talks failure. 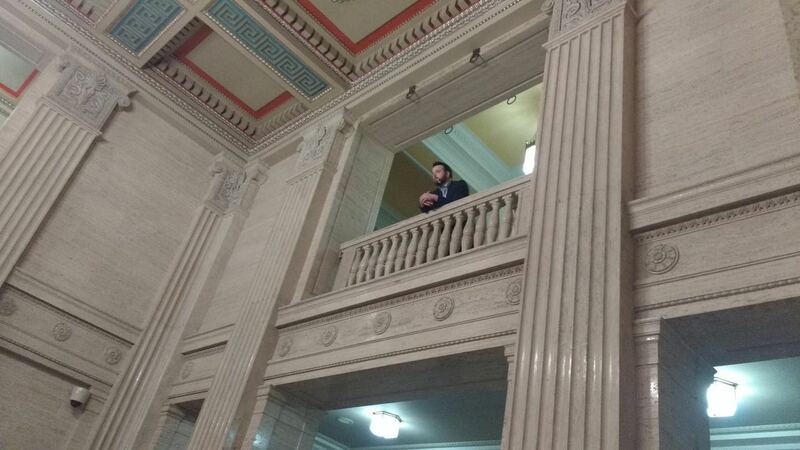 An hour or so later, I photographed SDLP leader Colum Eastwood looking out onto this political mess. London and Dublin now have decisions to make. Stormont has become a joke Parliament and a place of pretend politics. These talks were billed as a last opportunity. After, 13 months of standoff and standstill, would anyone believe another chance would change anything? Stormont is very close to being redundant. February 14, 2018 in News & Current Affairs. As usual Brian gets the facts,the rest of so called political commentators talk crap. Yip. In particular, Mick Felty’s response at Slugger O’Toole was pathetic at how far he was willing to bend over to blame Sinn Fein. I suspect it is a problem which only the Paedo-hunters can rectify?